Food is an intrinsic part of our overall health and wellbeing. 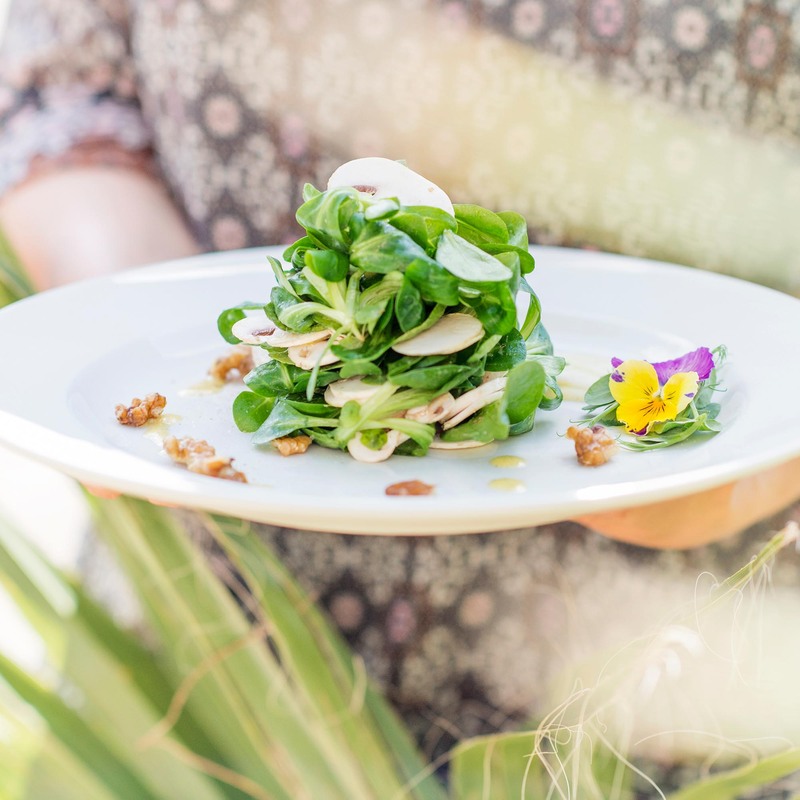 We use fresh, locally-sourced and organic ingredients, partly collected from our kitchen garden. Food changes with the seasons, as different months bring different delights to the table. Our cuisine is healthy, exciting and vibrant ─ full of natural Mediterranean flavours. The celebration of connection around the table is our greatest joy. We believe that we are fed in many ways, from the food choices we make to the relationships we cherish.